The UK's emergency services have boosted their ability to track down people in danger thanks to a new partnership. Several of the country's biggest police, fire, ambulance and rescue services will now be able to respond to incidents more effectively using what3words location technology. what3words has divided the globe into 3m x 3m squares and given each one a unique 3 word address - allowing users to define their location with superior accuracy, which could be the difference between life or death in an emergency situation. What3words says it can be particularly effective for emergencies in rural locations like farms, beaches, coastline or moorland - but also in cities where the person in distress may not be familiar with their surroundings, or able to share a location with accuracy. 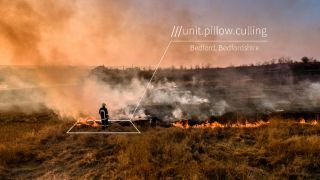 what3words is now being rolled into training days so supervisors, handlers and responders are ready to use 3 word addresses as effectively as possible, with the likes of Bedfordshire Police, Cambridgeshire Constabulary and Hertfordshire Constabulary now working alongside what3words on pilot schemes. The what3words app is free to download for both iOS and Android, or by browser, and also works offline – making it ideal for use in areas with an unreliable data connection. The three word address format is also consistent anywhere in the world, and available in 26 languages. "Being in need of urgent help and not being able to easily describe where you are can be very distressing for the person involved and a really difficult situation for emergency services," said Chris Sheldrick, co-founder and CEO of what3words. "Today people nearly always have their phone on them. We need to use the tools at our disposal to improve public services and potentially save lives." "We are continuing to work with emergency services across the country to get what3words enabled in their control rooms and to encourage the public to understand how to find and share their 3 word address so that they can be found quickly when they need it most. It’s been incredible to see UK police forces embrace technology to respond effectively and quickly to people in need."